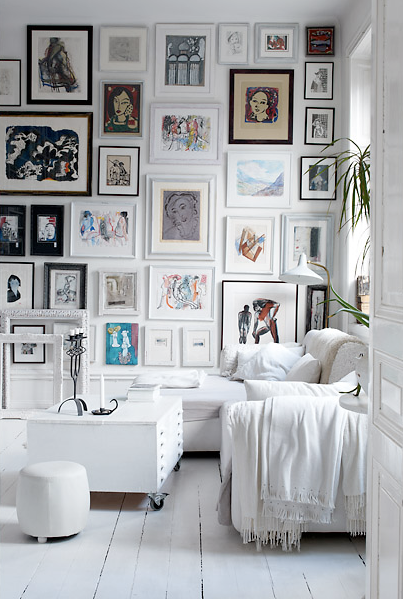 When it comes to hanging the perfect gallery wall, pretty much anything goes. With all the fabulous options to organize (or disorganize!) 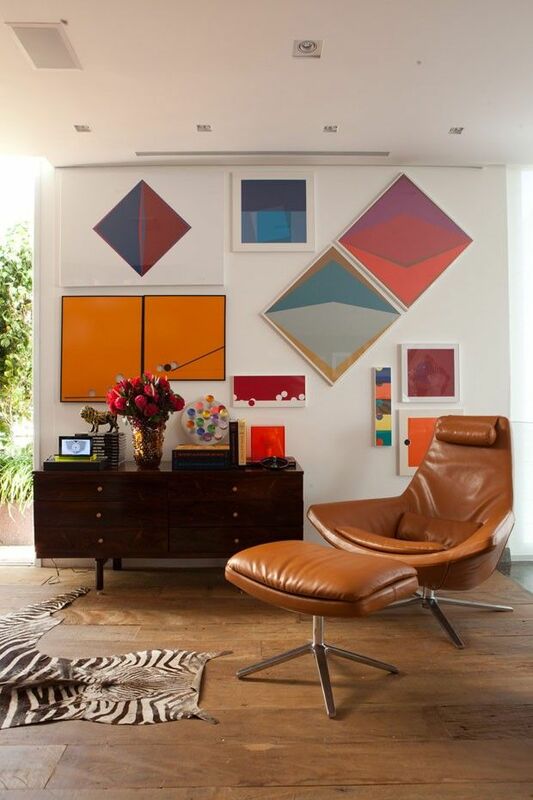 a gallery wall, here’s a few tips to help you find your gallery wall personality. Neat freak? 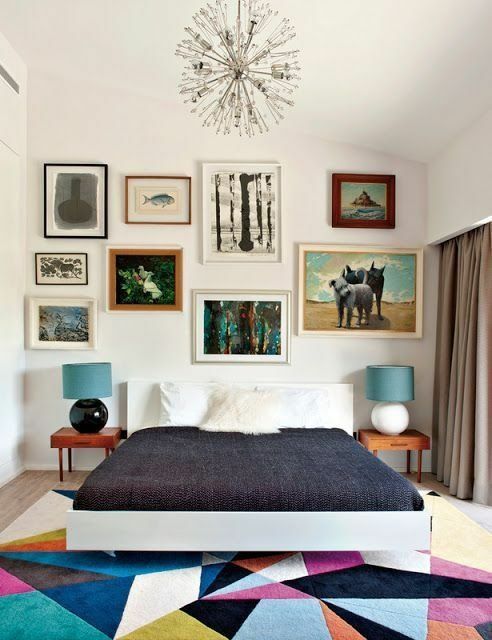 Declutter your gallery wall with clean lines, consistent spacing, and coordinating frames. Love mixing traditional and modern? 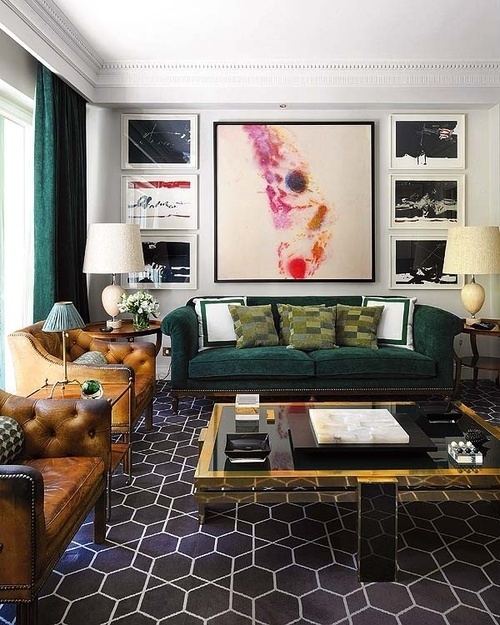 Marry your contemporary space with a gallery wall of old world art. Craving a WOW factor? Grow your gallery from the ground up, covering the entire wall from top to bottom. Think outside the grid. Position pieces at different angles to and extra interest to your wall. Fashion is art too! Add glamour to a wall with a gown, caftan, or vintage gem. 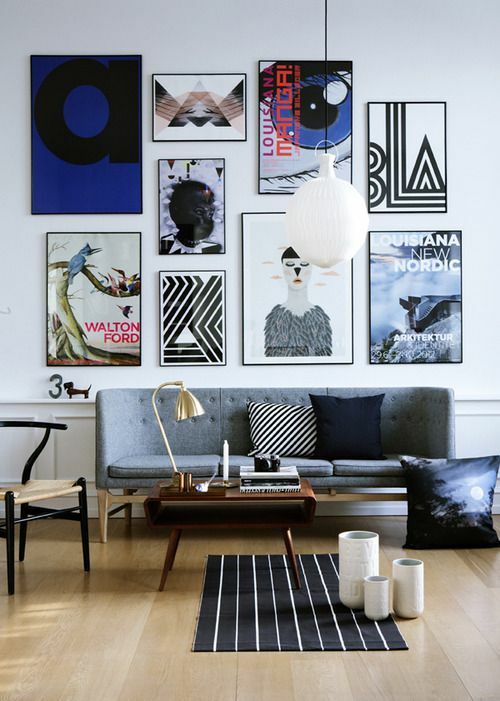 Get more gallery wall inspiration over on my Pinterest board!